DEAKIN, AUSTRALIA--(Marketwired - Oct 8, 2013) - Each of Dr. Chandra Patel's breast augmentation patients schedule two separate consultations at The Lotus Clinic in order to ensure their unique surgical plan aligns with their personal aesthetic goals. Dr. Patel, a Deakin plastic surgeon, uses the first consultation as a time to discuss the advantages and disadvantages of certain implant types and surgical techniques. In a recent blog post titled "Gel Vs. Anatomical Breast Implants: Which One Should You Choose? ", Dr. Patel provides an in-depth explanation as to why he prefers gel implants as opposed to the textured anatomically shaped alternatives. The first benefit he highlights is the natural feel of the gel implants, which he says are softer than shaped implants. Dr. Patel says there is also an unexpected benefit of gel implants: "When you hold up one of these implants, the gel actually moves toward the bottom of the implant to create the teardrop profile that patients desire when they are leaning toward the anatomic implants." Due to this characteristic, Dr. Patel says gel implants can actually attain the same anatomical shape that breast enlargement patients are seeking when they choose teardrop-shaped implants -- without compromising the natural feel the gel can provide. According to Dr. Patel, another advantage of the gel implants is that they allow patients to massage their breasts after surgery more thoroughly. Dr. Patel emphasises the importance of his breast augmentation patients being vigilant about routinely massaging during the post-operative period. He states: "[Internal] scars have a tendency to contract when they are fresh, so by massaging the implants against the fresh scars, patients can stretch the capsule, allowing the implant to slide a bit and to retain a soft breast." With breast implants, a condition known as capsular contracture (scar tissue forming around the implant) can occur. At the Lotus Clinic, plastic surgery patients are taught that the internal scar around the new implant is just as active as a scar on the surface of the skin. A scar on the surface of the skin does not completely resolve for 9-12 months, so patients should expect the internal scar to adhere to the same biological tendencies. Routinely massaging the areas around the implant keeps the breast feeling soft and natural once the internal scar has fully healed. Dr. Patel says he focuses a great deal of time on education during the first consultation so his patients may make informed decisions about implant size and placement options. He notes that further decisions are made during the second consultation with the use of wearable visual aids. Dr. Patel's blog series on Breast Augmentation treatment is ongoing on his website, where the next topic focuses on what to expect in the second stage of the consultation process. Dr. Chandra Patel, FRACS earned his medical degree in the UK. He continued on with extensive plastic surgery training in the UK as well as in the United States and Australia. 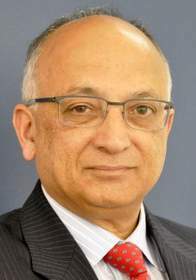 Dr. Patel once served as the Head of The Plastic & Reconstructive Surgery Unit at the Canberra Hospital, and he is a member of the Australian Society of Plastic Surgeons. Dr. Patel also holds membership in the Australasian Society of Aesthetic Plastic Surgery, the Australian Hand Surgery Society, and the Harold Kleinert Society for Hand Surgery. He is a fellow of the Royal Australasian College of Surgeons (FRACS). Dr. Patel is available for interview upon request. For more information about Dr. Chandra Patel and The Lotus Clinic, please visit lotusclinic.com.au.